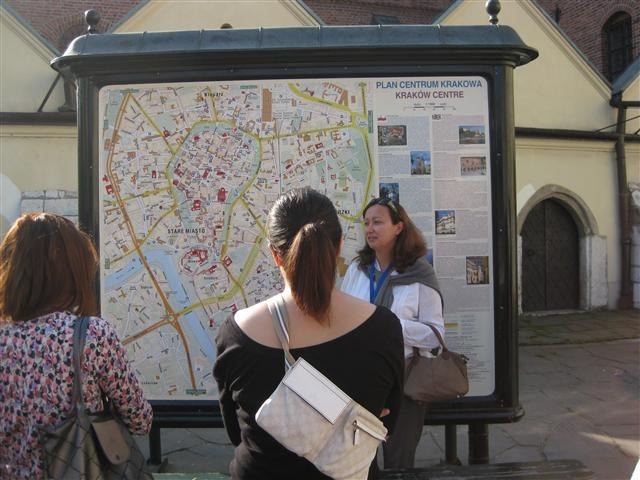 Our first full day in Krakow started with a really great walking tour in Kazimierz, the old Jewish Quarter of the city. 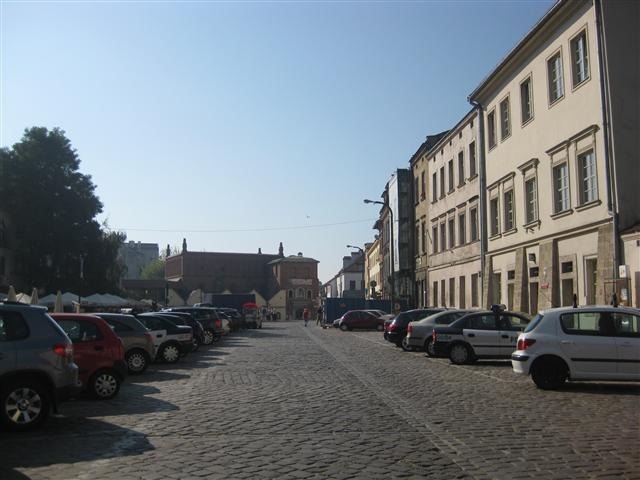 This area was once home to many synagogues and a bustling community before the Nazis invaded and forced nearly all of the Jews into the ghetto. 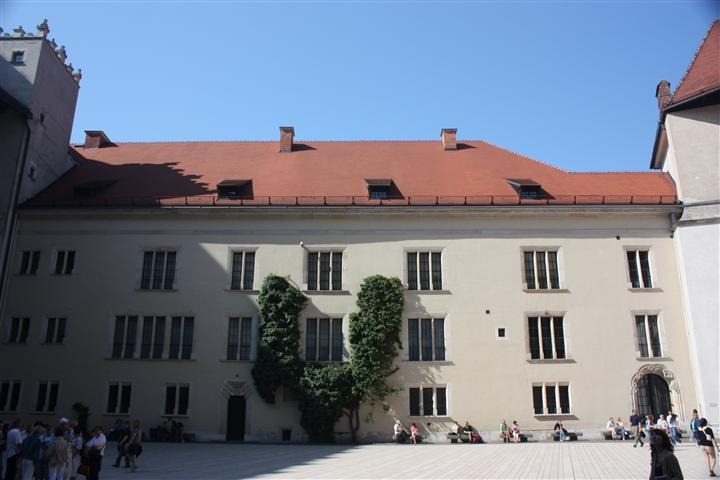 This was called the Old Synagogue, but was later occupied by the Germans to store weapons. 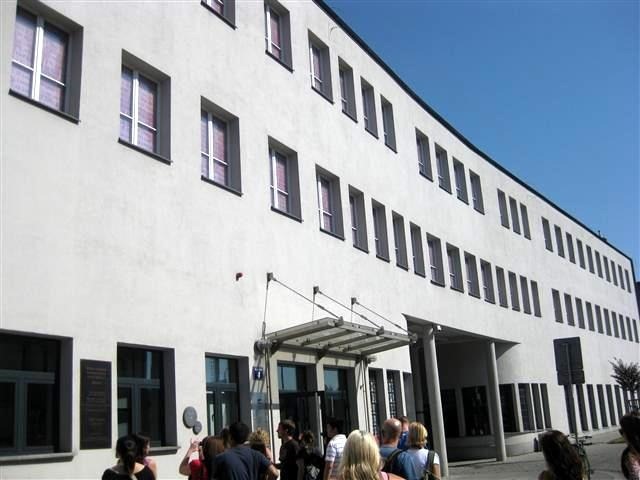 Now it is a museum dedicated to Krakow’s Jews. At the other end of the square from the Old Synagogue is a touching memorial to the Jews who used to live there. 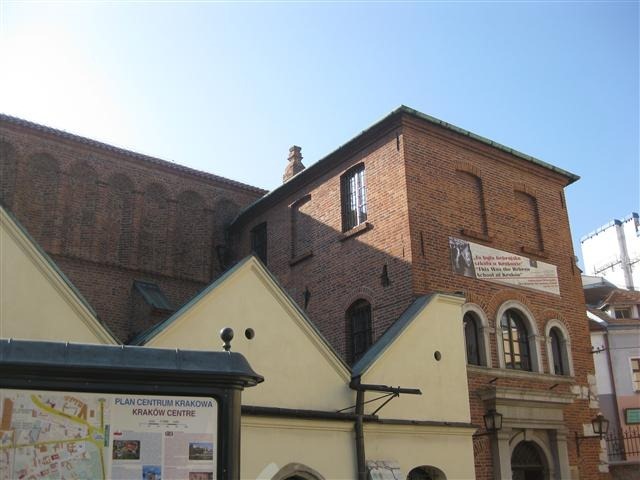 And next to it is the only functioning Synagogue in Krakow now. Before the war, more than 60,000 Jews lived in the city. And today, less than 200 identify themselves as Jewish. 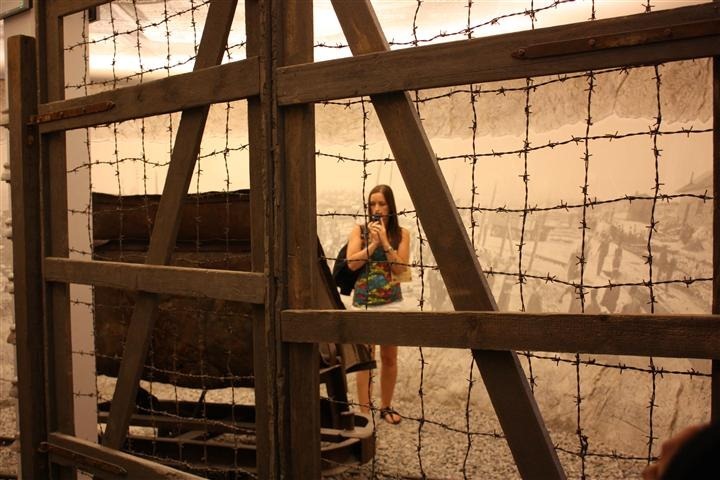 The weight of the Holocaust was starting to hit me standing in that square. 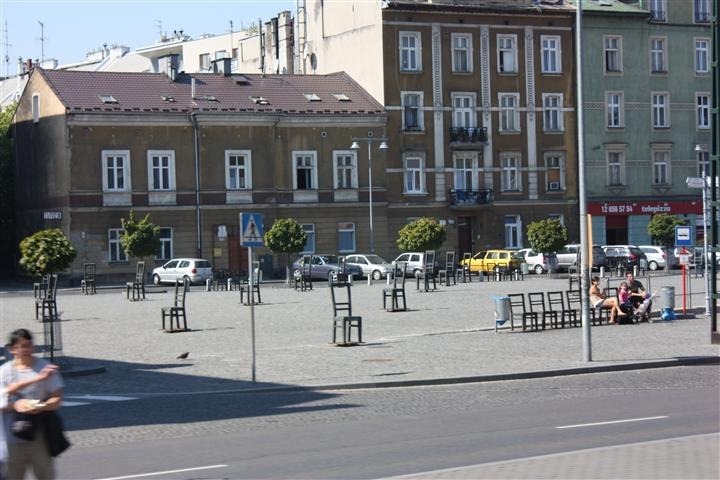 But when Steven Speilberg came here to shoot his movie, Schindler’s List, based on Krakow, this square became the ghetto. It wasn’t the ghetto in real life, but it served the purpose for the film. 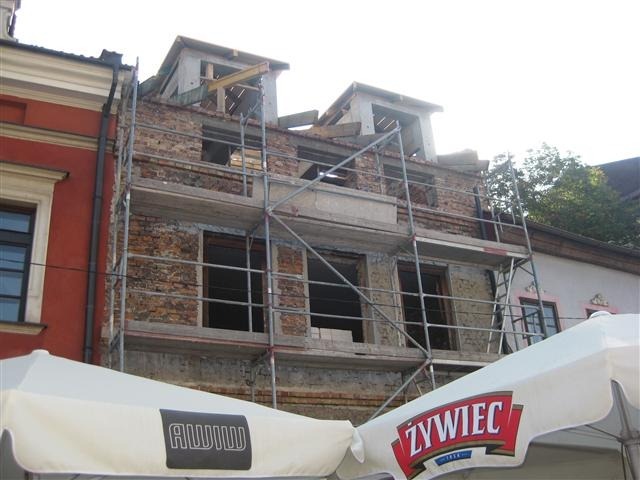 After the movie came out, tourists starting visiting this section of the town more frequently and suddenly people started to rebuild it once again. They’re not 100% sure if it’s the best… but it probably is. Oh man, we laughed for a long time over that. 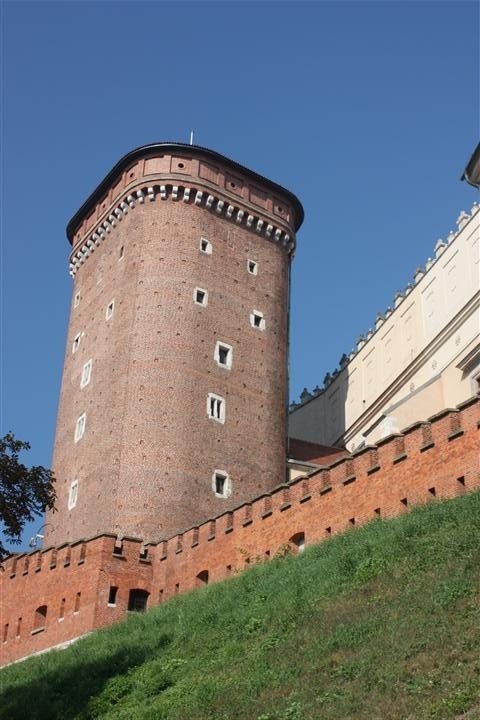 Then we hopped back on our bus and headed to our next destination: Wawel Hill, home of the Royal Castle and Cathedral. The grounds are really beautiful with all kinds of architectural designs mixed together. 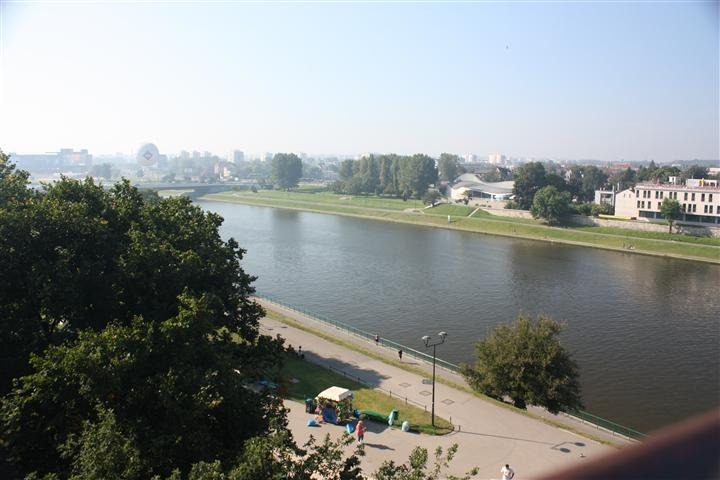 It over looks the city on one side and the river on the other. 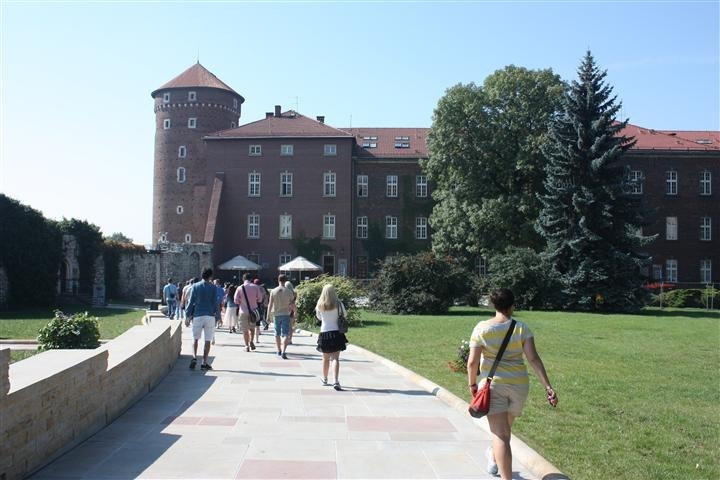 This castle was designed centuries ago with the harsh winters in mind. It was genius in design back then. It was spared during the war because the Nazi’s made it their home. They even built a wing to house their military headquarters. Sad as it is, the Nazi’s saved a lot of historic buildings in Europe by making them their private dwellings. There are a lot of stories like this one throughout the continent. Outside the castle walls is a hodge podge of a church. 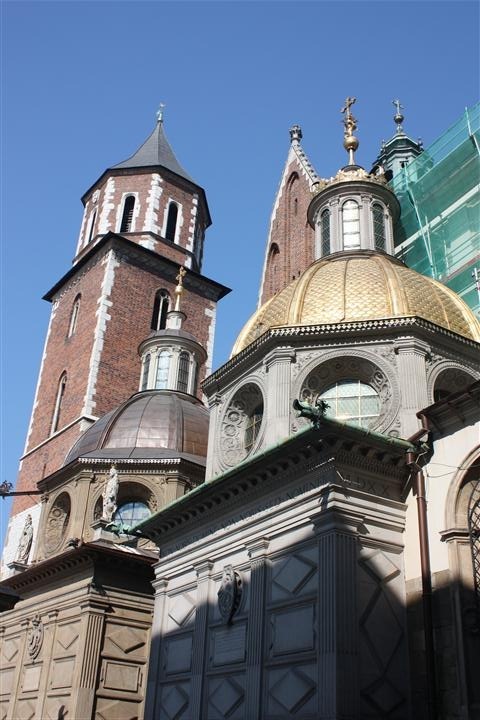 It’s famous not only for it’s quirky design, but because this was Pope John Paul II’s home church before he became Pope. 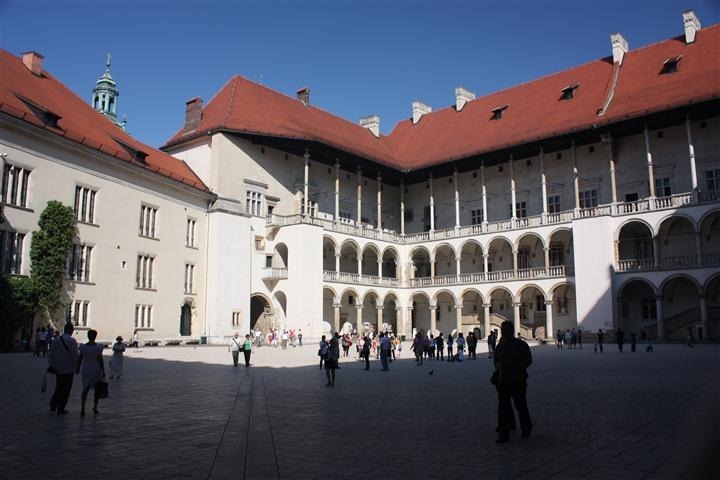 If there is one thing the Poles love about their Country, it was their Pope. There is evidence everywhere about how proud they were of him. Reese, my gnome, visited the Vatican in 2008, and now she (and I) got to see the former Pope’s beginnings here in Poland. Though I’m not religious in practice, I find religious history fascinating. 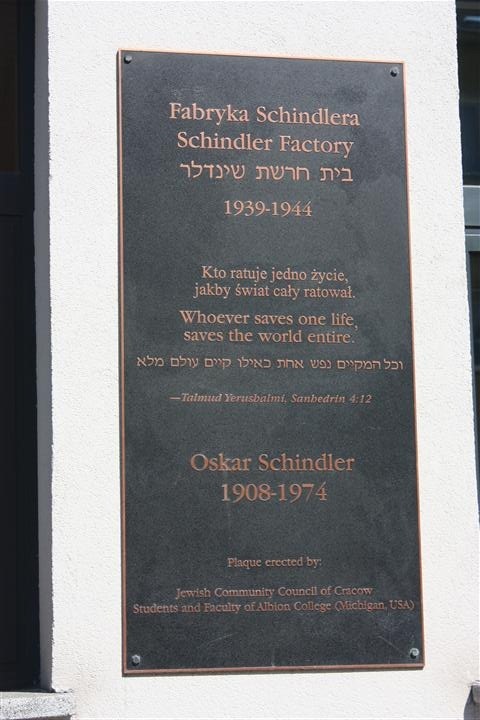 Next on our tour, we took our bus over to Oskar Schindler’s factory. 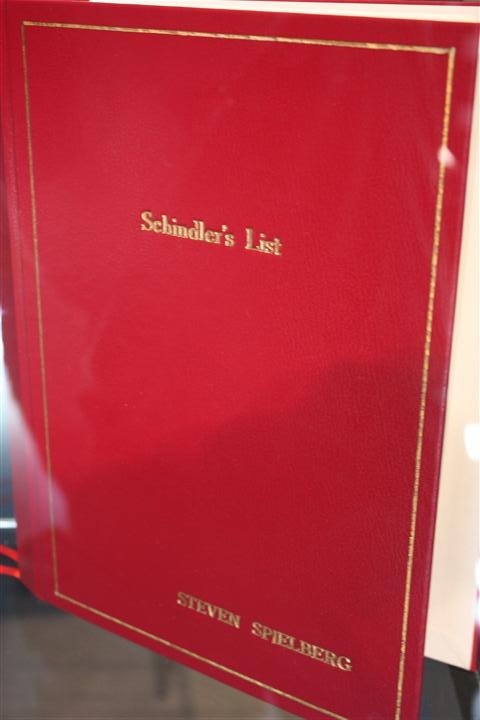 Schindler’s List was based on how Oskar used his business to save the lives of more than 1,000 Jews during WWII. 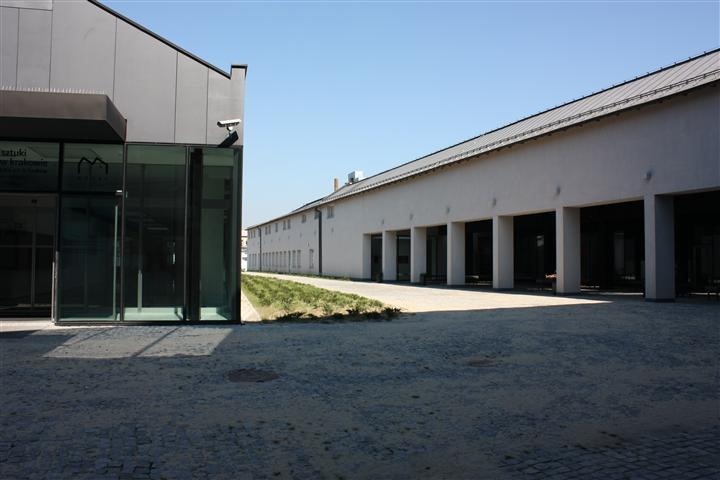 This was the actual factory that has now been turned into an amazing museum. But most of the scenes from the movie were shot here, on location. 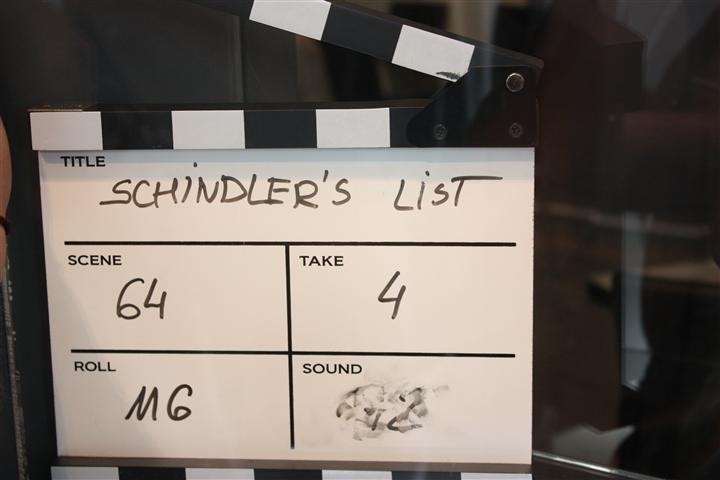 The front part of the museum has a few props from the movie and a small café, but they did a great job of focusing on the serious history rather than commercialize the film. 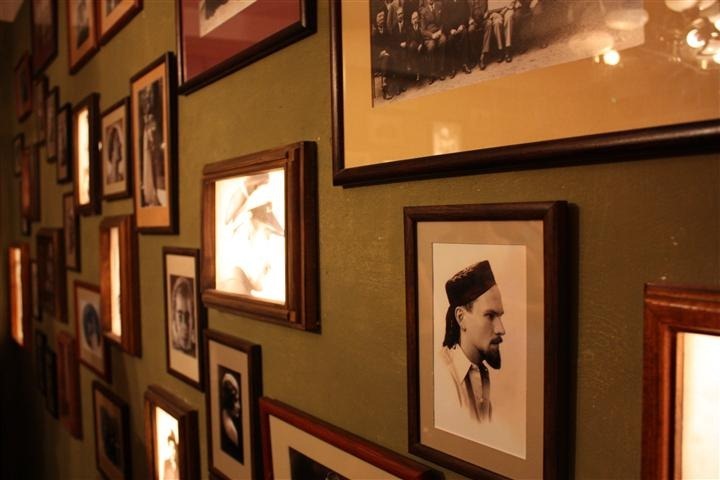 We had a private tour through all of it and starts with the history of the Jews before the war, telling some of their stories and showing actual photos of the happy people who used to live in Krakow. 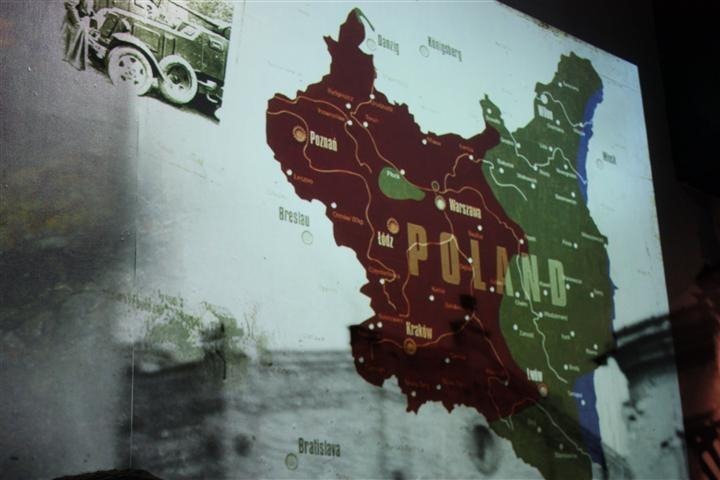 Then it taakes you back in time and explains how Poland fell under Nazi rule… then later Soviet rule. 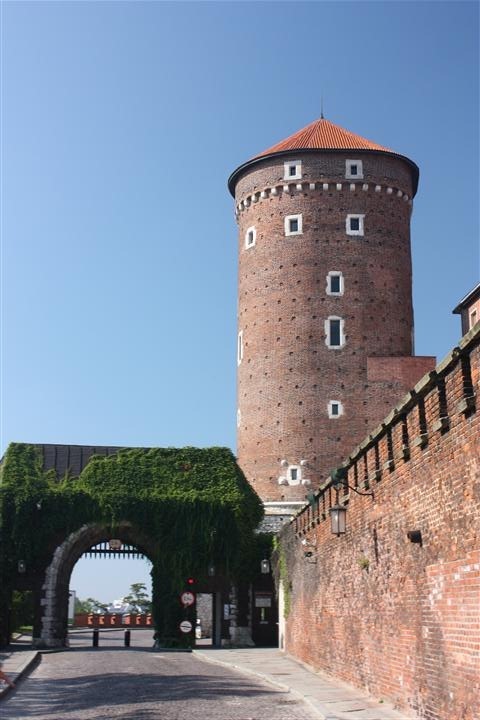 Poland ceased to exist for nearly 80 years while it was being occupied by the east and the west. 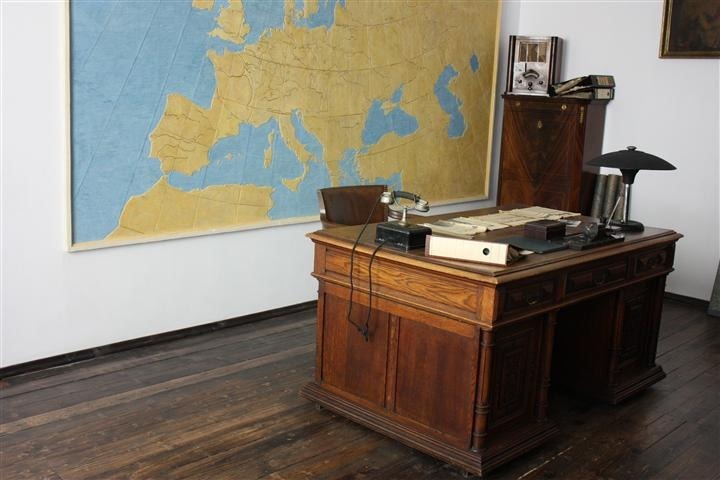 Then we learned about the Nazi occupation and how they took control of Krakow. 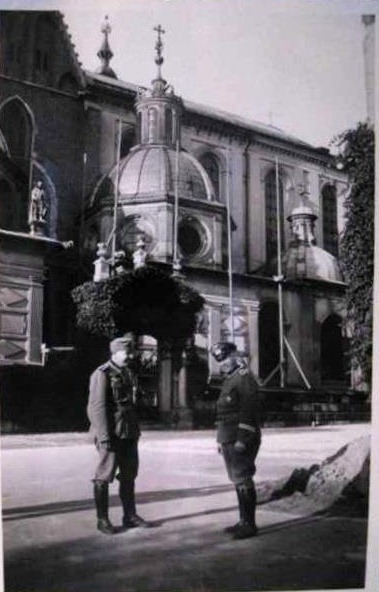 Here’s an image of the Germans in front of the Cathedral we had just visited. These exhibits were so well done in such an interactive way that you couldn’t help but be engulfed in it. This section was about the Nazi regime and how they took over the city. Those columns rotated and it looked like the soldiers were actually marching. 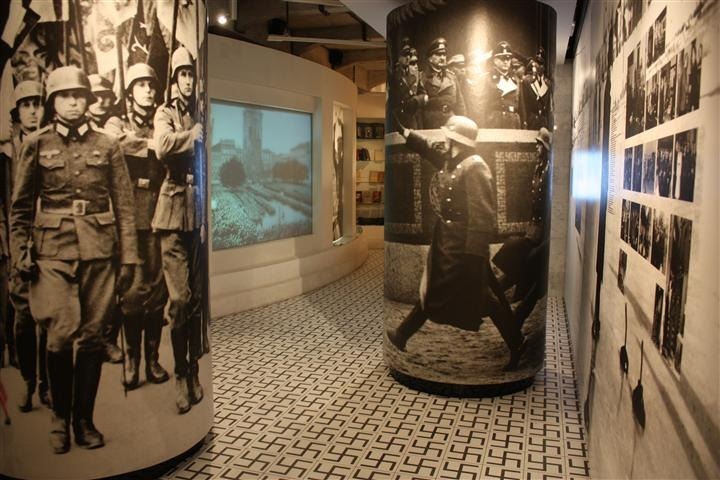 The floor has the Nazi symbol in it, and the photos on the wall shows how they transformed the city to feel German (streets were renamed with German words, etc). This staircase was decorated in the street signs, and was also the scene where Spielberg shot one of the scenes from the film. Here was Oskar’s desk. I think they said the actual desk here was a prop, but the map behind him was original. 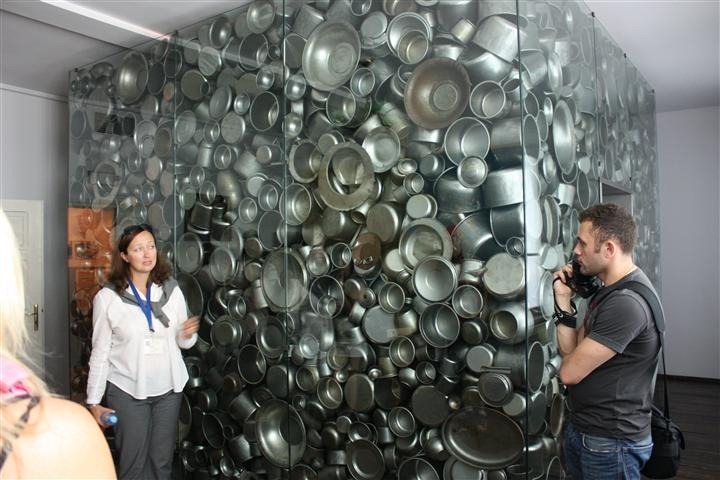 The workers that Schindler saved worked here making pots and pans. I want to watch the movie again, now that the reality is so fresh in my mind. 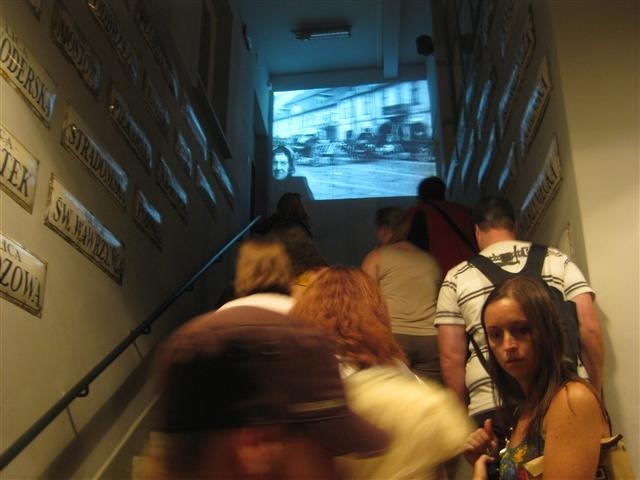 Then the museum goes through the horrors of the ghetto and how most of them were then sent to the nearby death camps. Out back you can still see where most of the people worked. Also in the museum was a collection of first hand accounts from Jews who survived the Holocaust. 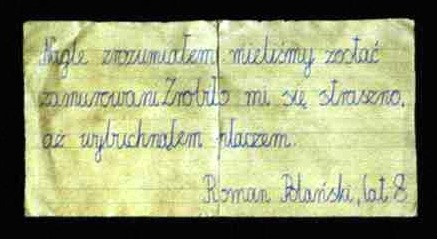 One of the most famous survivors was Roman Polanski, who lived in the Krakow ghetto. 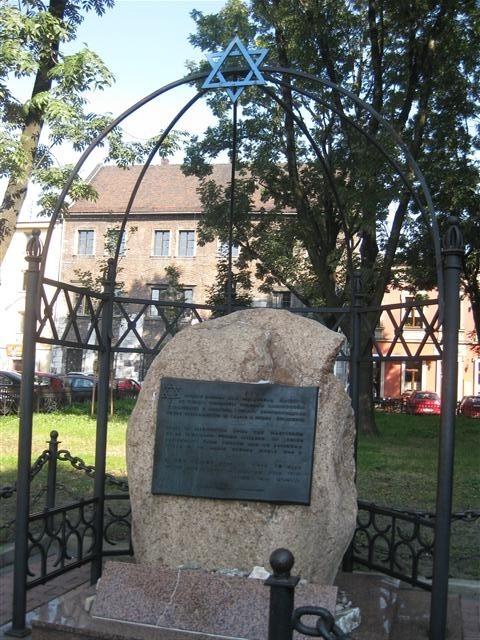 “The memorial to the Jews of the Podgorze Ghetto in Krakow was inaugurated on 8 December 2005. Even though we did all of this sightseeing in just four hours, I’m going to continue the rest of the day in another post. This one feels heavy and I think deserves to stand alone. 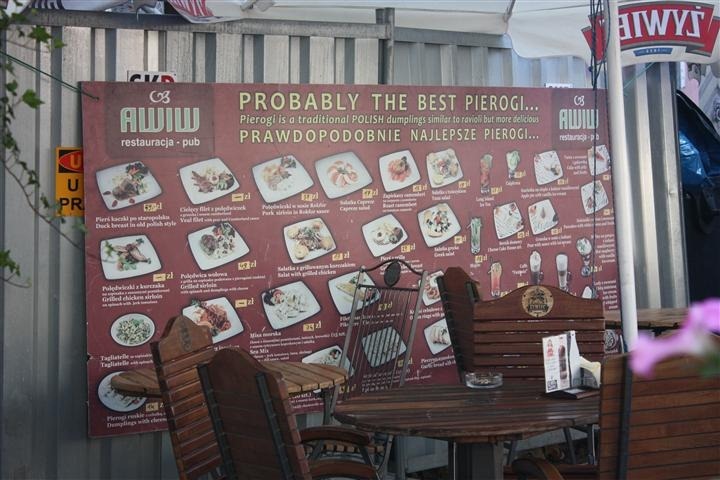 I know that I will never be the same after what I saw in Poland this morning. I will never forget it. 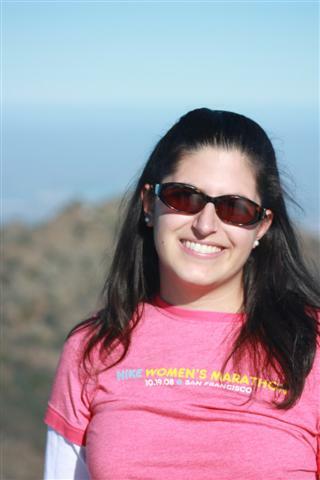 Kelley, I love all your blogs, especially your travel blogs. 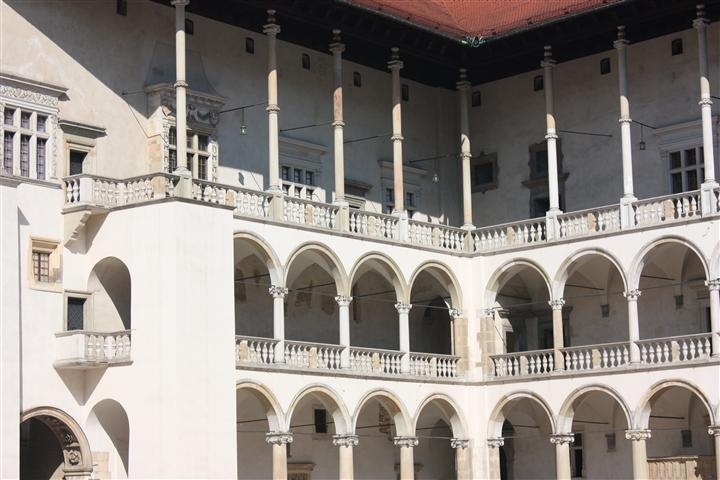 Your love of travel combined with the synopsis on the sites that you saw in Krakow show your commitment to explore historical sites. In this blog, your observations and descriptions are rich and informative. You show the right balance between the significance of the site to a tourist (from Hollywood), the historical event which took place there and your reflection on the depth of your experience. Thank you for sharing. It’s as if I travelled with you and your were the tour guide..